The New Mexico portion of the Reconnecting the Tribal Trade Routes Roadtrip was a great success, even though Pueblo leadership transition during much of the month complicated planning efforts. 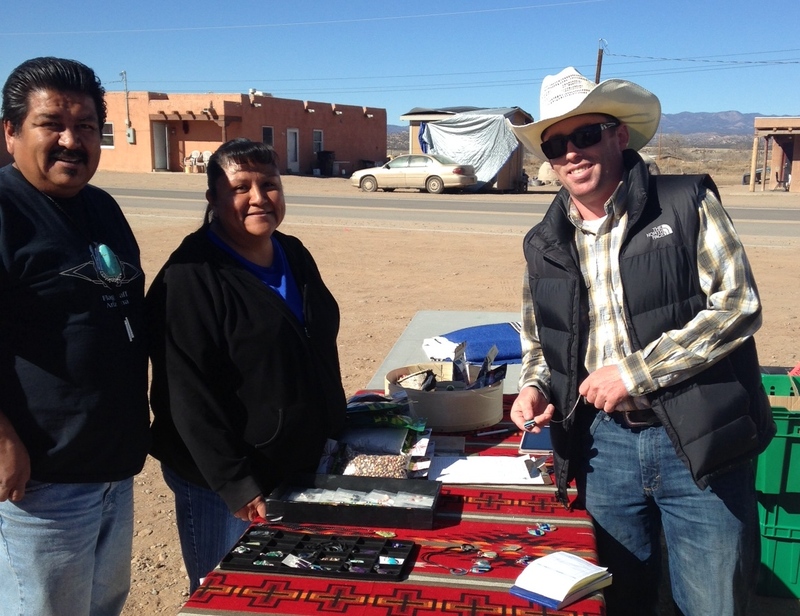 We visited numerous communities, made great new connections, brought awareness to a host of new products, and added some southwest items to our inventory. Be sure to check back on this website for continued updates and also check out our Mobile Farmers Market and Intertribal Agriculture Council Facebook pages for important information and updates. 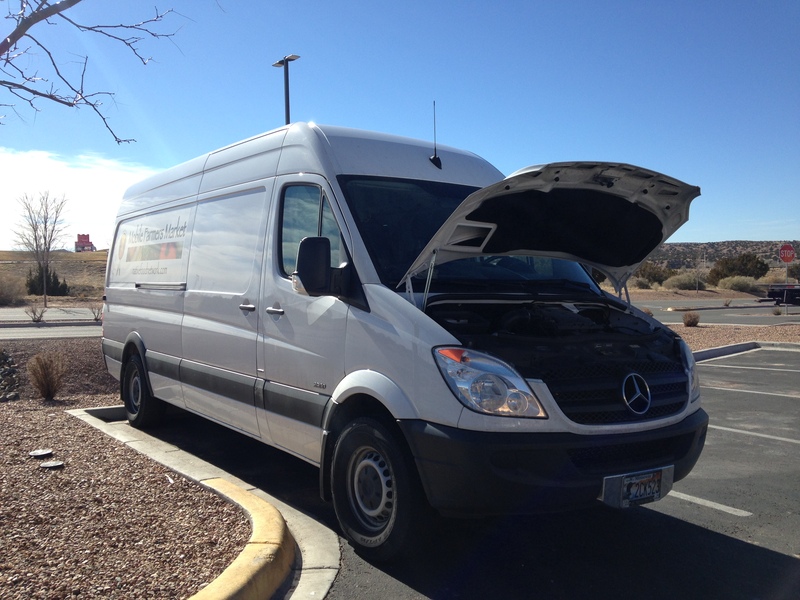 One more note on challenges: always expect the unexpected, especially with complicated efforts, although I suppose a dead battery should be expected when you forget to turn off the inverter powering your freezer the night before. We now have our own portable battery jumper to better deal with the unexpected…or our own missteps. Agriculture in New Mexico is largely characterized by smaller-scale farming that is often for community and family purposes, as well as ranching in many areas. Since the state’s landscape is largely desert, water is one of the biggest limiting factors, especially during severe droughts like the one that has been devestatingly affecting the region over the past few years. 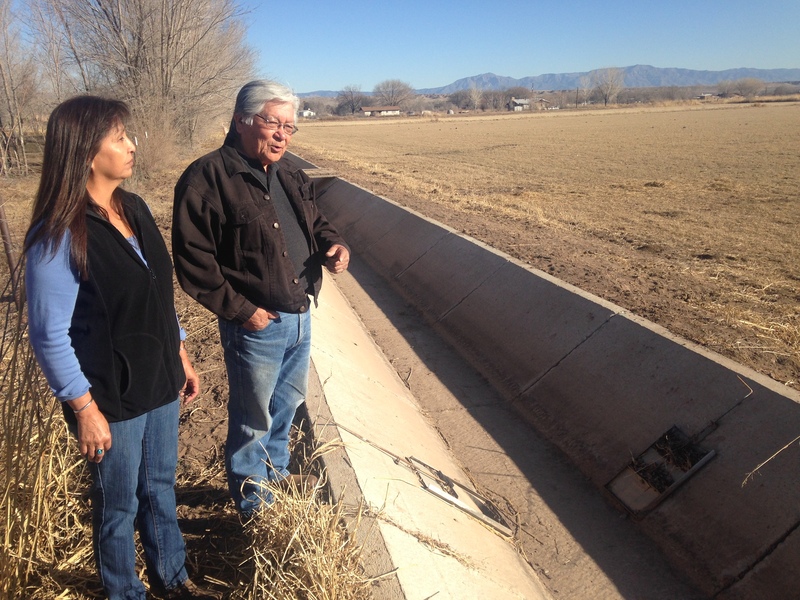 However, Tribal farmers and ranchers continue to find ways to adapt and succeed. 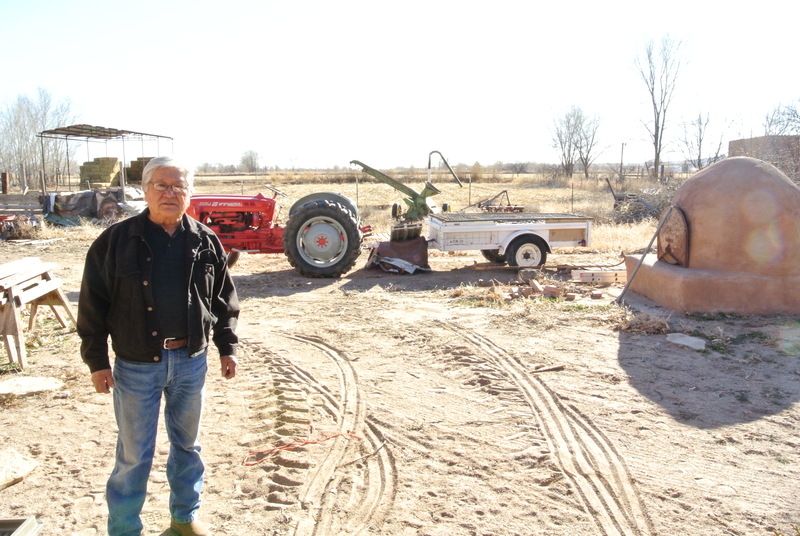 Joe Jaramillo, an Iselta Pueblo member, who grows corn and chili peppers is an example of a successful New Mexican Native farmer. Like so many others of his generation, Joe’s family depended on the food they produced when he was growing up. About ten years ago, Joe decided to turn his passion into a small commercial enterprise and officially started Native Naturals in 2006. Native Naturals’ product line is an organic array of largely traditional Pueblo foods, many of which can be difficult to find commercially. 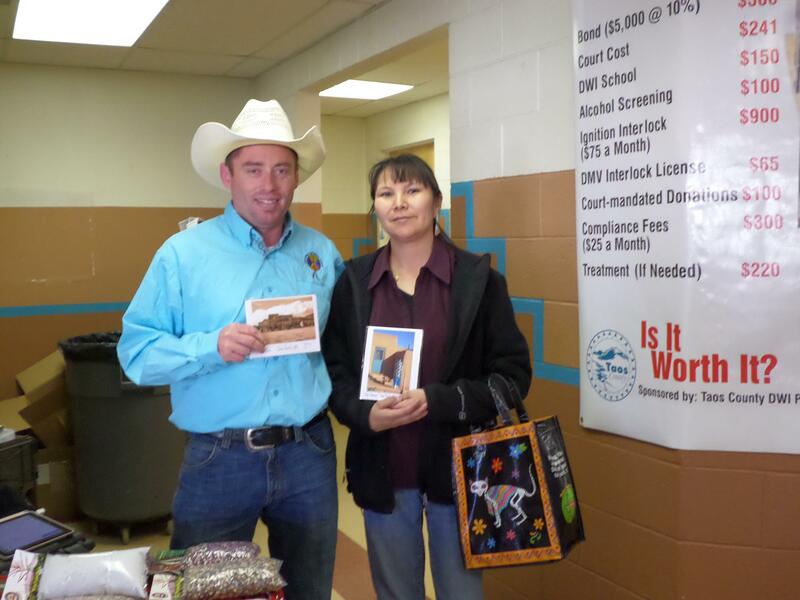 Joe’s customers include the local community and visitors to Iselta Pueblo, as well as national and international purchasers, most of whom find out about Native Naturals unique products through food shows attended through the Intertribal Agriculture Council’s American Indian Food (AIF) Program. All of Joe’s packaged products (most are also available in bulk) carry the Made by American Indians trademark logo that is administered by the American Indian Foods Program. 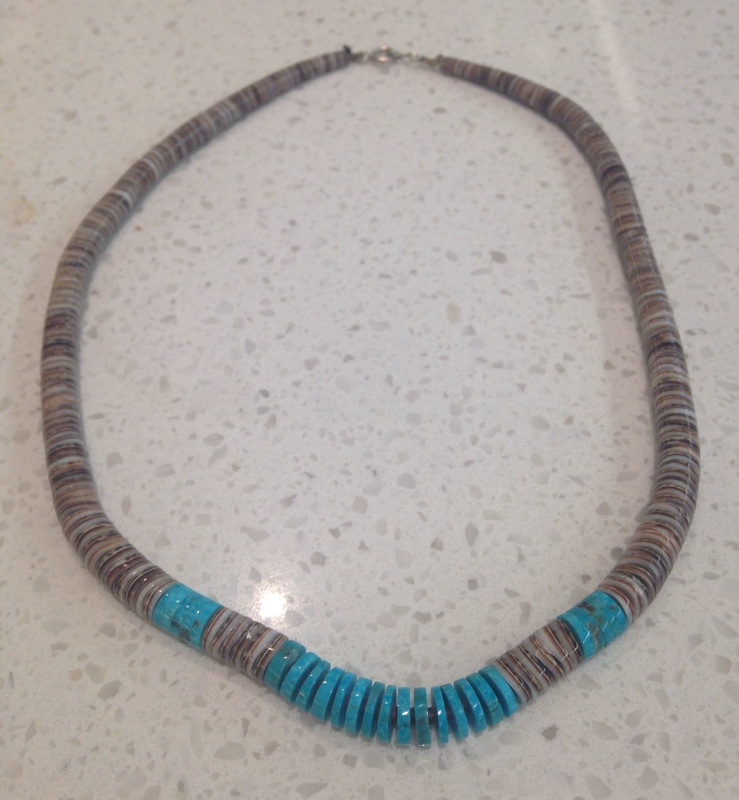 The trademark, which is a free service, is a great way to help differentiate Native-produced items, but application process does have strict standards to ensure all products are authentic. 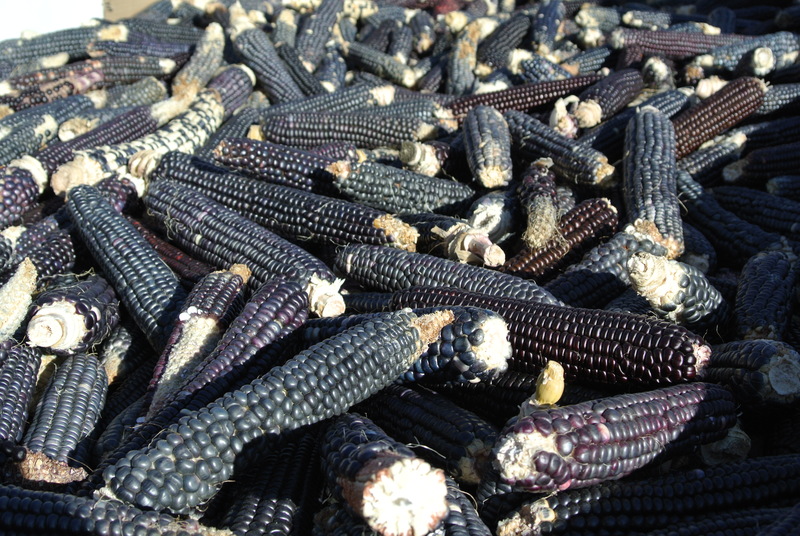 Together with a smaller amount of red chili’s, blue corn and alfalfa are Joe’s two primary agricultural products. 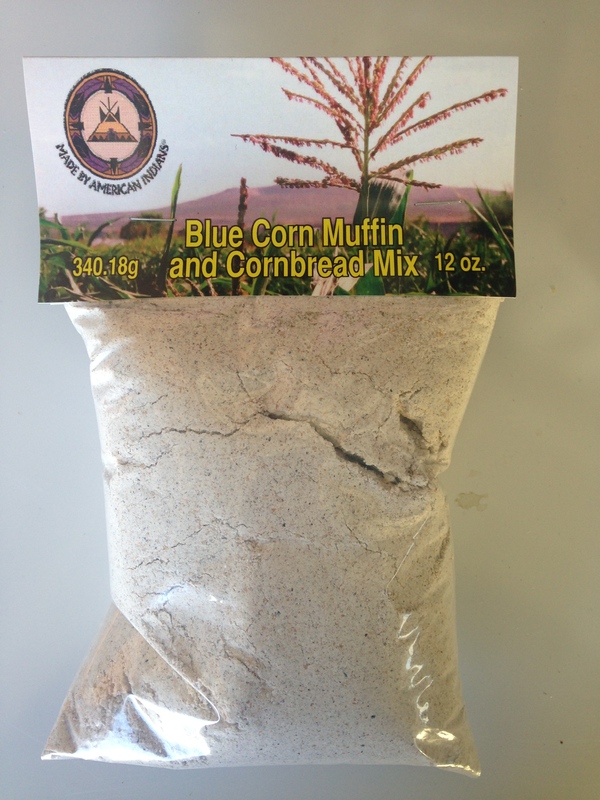 Blue corn has helped sustain the Pueblo people for hundreds of years, and, while it might not be as prevalent in people’s everyday diets today as compared to previous generations, it is still an important food source. Joe also grows chili peppers. All of Joe’s products are value added, and we discussed the possibility of him applying for USDA’s Value Added Producer Grant (VAPG) that is currently accepting applications until February 24th and provides funding for market feasibility studies up to $75,000 or working capital to implement projects up to $200,000. As mentioned, water is the biggest limiting resource for agriculture in New Mexico, along with most of the southwest. All Pueblos are located near some sort of reliable water source, and many, including Isleta Pueblo, are close to the Rio Grande River that collects water from countless small tributaries throughout northern New Mexico. Although Joe still anticipates getting at least some water this year, the current severe drought is having a major negative impact on agriculture throughout the region. Given challenges posed by the drought and other often unpredictable natural events, Joe’s success is largely dependent on finding the most efficient ways to run his operation. Much of his work is still done by hand, but Joe uses some machinery like tractors and corn pickers. 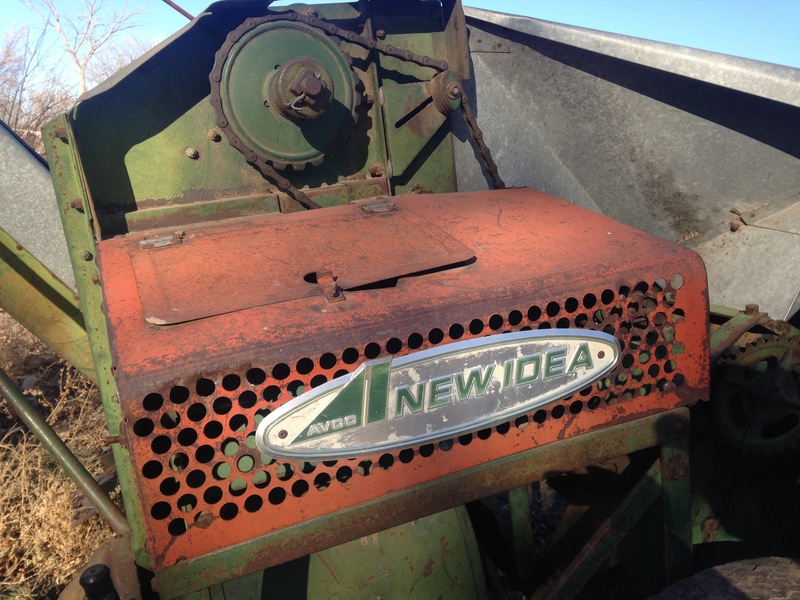 Recently, Joe adopted no-till cultivation through encouragement and incentives provided by USDA. In addition to reducing sediment loss through wind and water erosion, the practice has greatly assisted with pest management, as Joe now grazes his horses on his fields’ stubble, which helps control insects by removing their critical habitat during winter. Continued innovated combined with persistent effort and attention should keep Joe’s farm growing for quire some time, and he is also working to provide support for younger farmers in his community and beyond. 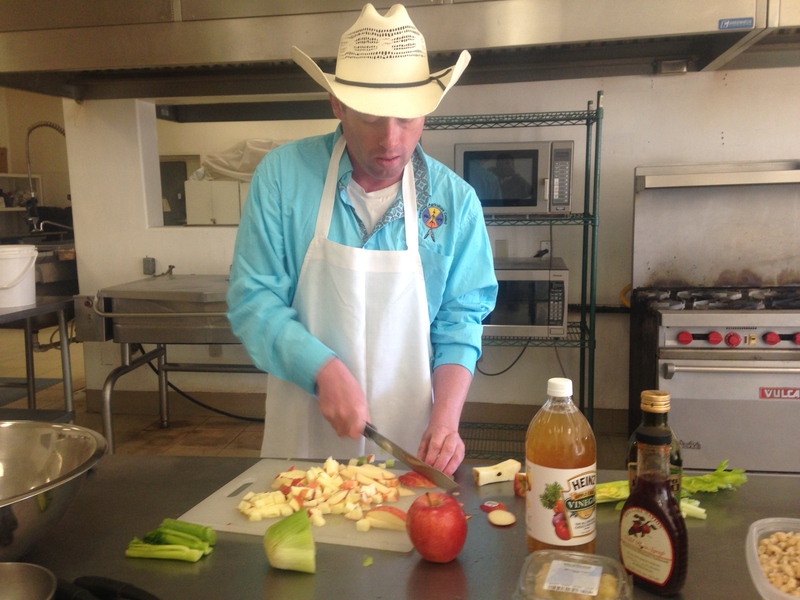 The Pojoaque Pueblo, just north of Santa Fe, has a farm and kitchen program designed to support the community by providing traditional foods, supporting economic development, and working to encourage healthier eating. The farm itself sits on approximately twelve acres, growing blue corn, Anasazi beans, squash, other vegetables, and fruit. The irrigation pond, pictured on the right below, provides water in combination with a well that needed to be constructed due to the drought and related water supply problems from forest fires in the nearby mountains. The farm staff also run a kitchen program that provides a space to process food from the farm and also hosts community meals, at times for up to one hundred people. The staff are in the process of obtain the license for a certified commercial kitchen, which will offer expanded processing opportunties. Since the farm administration building that contains the kitchen also has walk-in refrigerators and freezers and almost entirely commercial-grade equipment, the certification process shouldn’t take long. The facility also features a traditional oven. The greenhouse located right outside the administration building is a convenient location for routine plant care during the winter months when squash and numerous other vegetables continue to be cultivated. 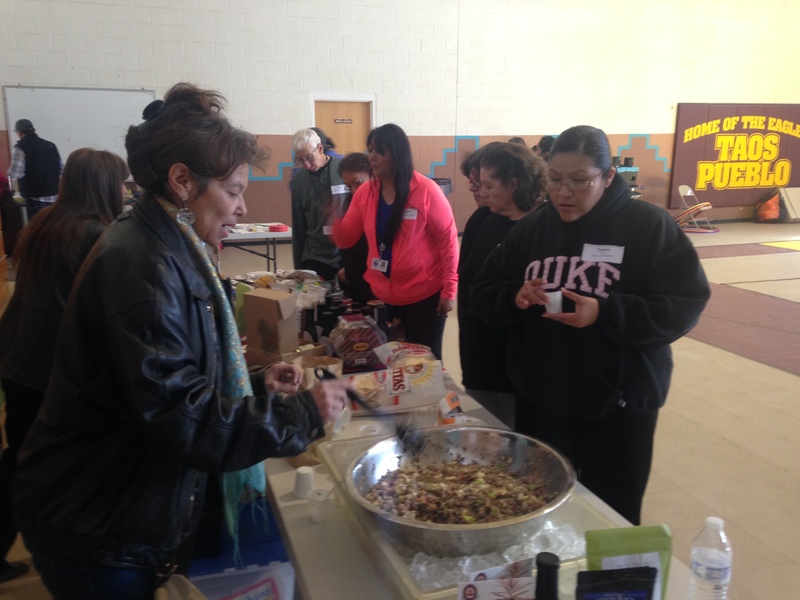 The roadtrip through New Mexico also featured market events to help build awareness of unique Tribal products from other regions, as well as encouraging expanded consideration of food’s economic development potential. 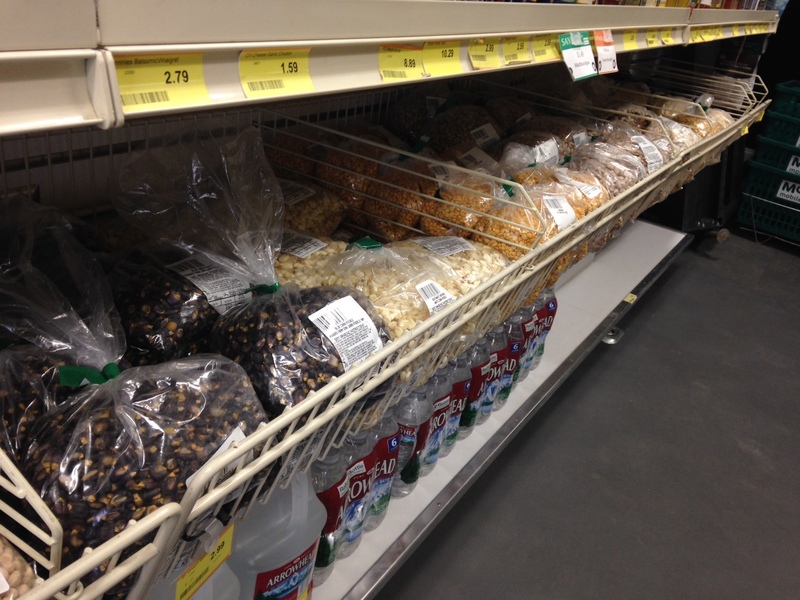 Unfamiliarity is one of the big challenges with bringing food products into a new region. While folks in New Mexico were familiar with hydrated Oneida white corn because of its similarity to “chicos” that’s basically the same thing, wild rice is a completely new item. Pictures help to illustrate the story and displayed products let people see the difference between various brands, but it’s tough to really build awareness without tasting the food. 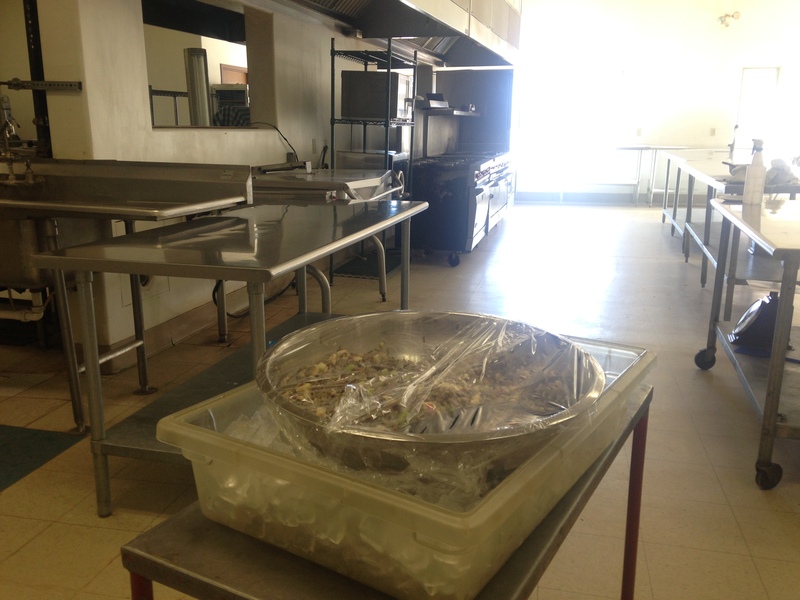 Thus, the roadtrip used the Taos County Economic Development Corporation’s (TCEDC) Kitchen to make a huge batch of Native Salad. The basic Native Salad recipe was posted on this website last summer. It’s a great dish for product sampling because it features much of the Mobile Farmers Market inventory, including wild rice, white corn, Anasazi beans (now the we carry them), and wild plum syrup. We’re hoping to offer olive oil from California in the near future. The dish is also nice because it’s extremely healthy yet most people think it tastes great. The TCEDC Kitchen is an amazing effort that has provided inspiration to other emerging efforts. 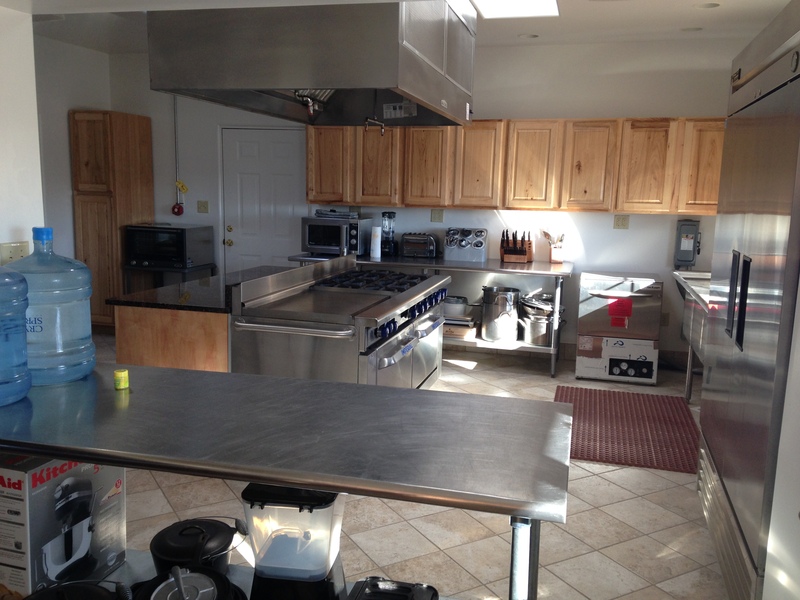 Often referred to as an “incubator kitchen”, it provides space and equipment to new and aspiring chefs, as well as others who don’t have the resources or desire to open their own facility, giving them the capacity to make their products in a licensed facility with instruction and support from the program staff. TCEDC’s effort is somewhat unique in that it requires participants to go through an entire program that doesn’t just focus on safe food handling and equipment use, but also includes training on developing a business plan and even helps work to secure shelf space in local retail outlets. 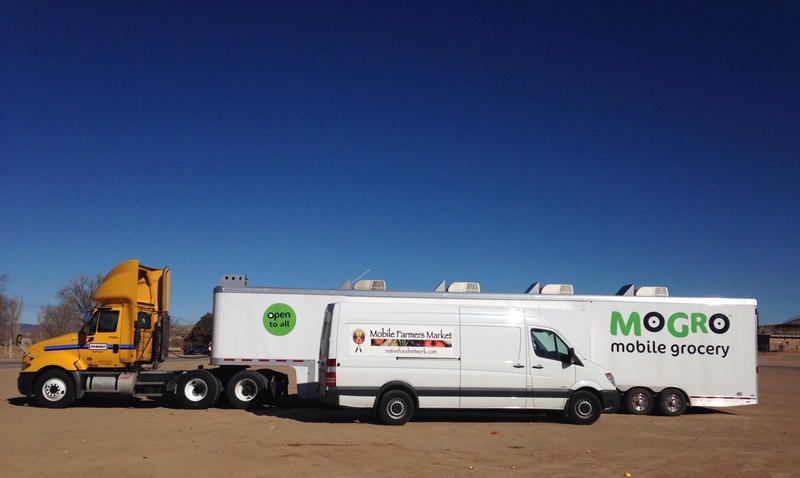 The Mobile Matanza is another one of TCEDC’s innovative projects. This portable animal slaughter facility allows local ranchers to harvest their animals on site, which greatly promotes animal welfare by reducing the distress inherent with transportation to a fixed slaughter facility. The Mobile Matanza includes everything necessary to slaughter animals ranging from goats to bison, and it operates as a USDA-inspected facility. TCEDC also runs a butcher operation, located behind the Mobile Matanza in the picture above, that provides custom finishing service. The Native Salad was a major it at the market event, as was the Spirit Lake Native Farms maple syrup, which is almost sold out. While many community members stopped in to checkout/purchase products, the event was even more successful since a healthy living training with participants from several other Pueblos was occuring in the gym that day, allowing even greater reach about the Mobile Farmers Market and its efforts. We met Debbie Lujan, a professional photographer from Taos, and are now carrying a small selection of her photographs on cards. They are a beautiful assortment of images from Taos and the surrounding area. We’re also looking for new artists to join the effort, so please spread the word if you know of anyone. Mondays and Tuesdays are market days at Santo Domingo Pueblo, which is one of the more traditional Native communities in New Mexico where growing food for the family and community is still common. 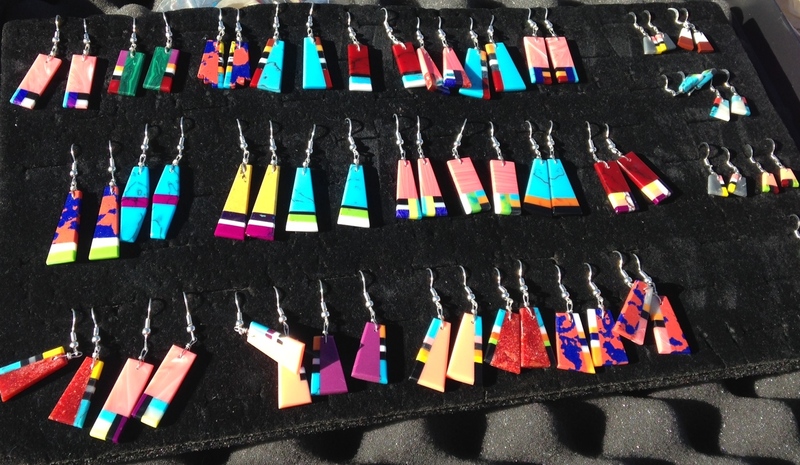 The community is also known for its artisans who sell jewelry and other works throughout the area. The market turned out to be one of the absolute highlights of the trip so far because so many people were interested in learning more about our products and also about USDA assistance programs. Interest in the van and our products built steadily throughout the morning. One women was excited to see Native Naturals parched blue corn, immediately buying a back and having me open the top so she could share with her friends. One of her friends then pulled out a bag of quarters and bought a bag for himself, asking me to clip the top so he could pour a portion into a smaller ziplock to eat right as he walked around the market. A good number of people also stopped to discuss USDA farm loans, conservation improvements, and even best methods of controlling corn worms. Since the market, at least on this winter day, was oriented to the community, no one was setup to sell jewelry…at least not right away. 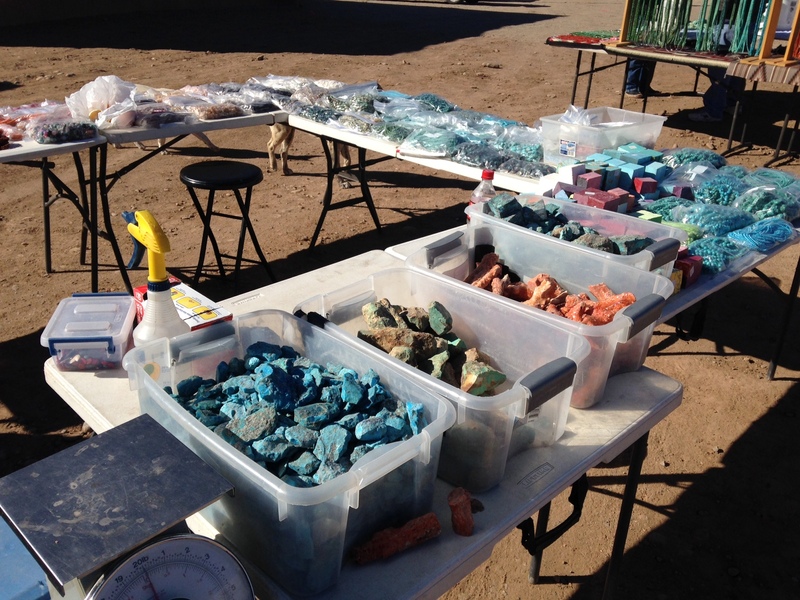 However, there were a couple vendors selling rough precious stones like turquoise, corral, and malachite that local artisans were purchasing to make their next rounds of jewelry. The situation changed about mid-morning after I purchased a few inlaid bones. Soon several others were interested in selling as well as showing me their work, and I made a couple nice wholesale purchases to add to our overall inventory. Not expecting that level of interest in selling products, I quickly ran low on cash. People were then offered to accept checks. After writing a couple checks, I didn’t want to overextend myself too much further, so people then offered to trade for food products instead. They would show me their selection, I’d make a few picks (mostly smaller items like earrings but a few pendants as well) and then they would select their favorite food products. It was a little crazy for a stretch because others were simultaneously interested in checking out products and talking about assistance programs, but everyone was very respectful and would wait until I had time to visit with them. I’ve got to say that it was one of my more remarkable experiences. I can’t think of a more appropriate example of reconnecting the trade routes. And, everyone seemed happy once were we able to make a deal. Although my purchases were limited to smaller items, there were many incredible items that folks had made. 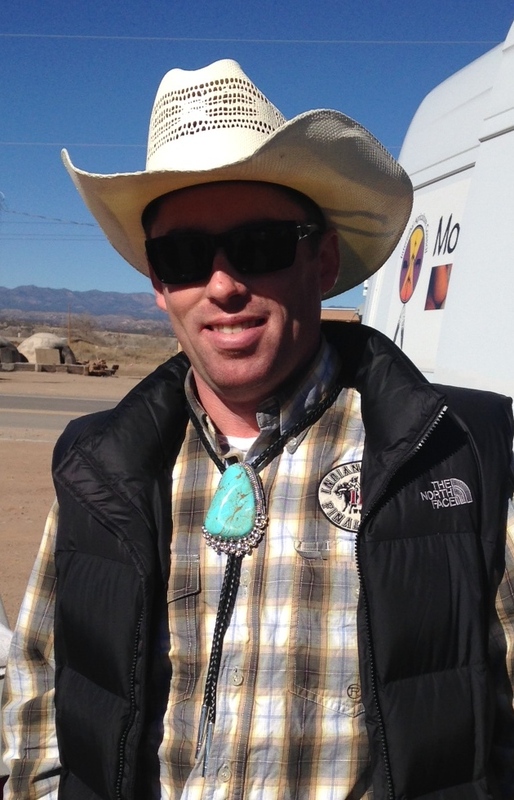 The $600 turquoise bolo tie was a little outside my pay grade, but it was beautiful…and they insisted on taking a picture of me wearing it. The most remarkable story of the day began shortly after I setup when an old woman stopped to check out the food. An ear of Oneida white corn I grew last year captivated her attention. English was clearly her second language, so a couple gentlemen helped with the conversation. She wanted to buy the ear. I said it wasn’t for sale, but started to look in the van for some other ears. She dearly wanted that corn…it was a very nice ear. I told her she could have it and she beamed with happiness. About an hour or so later, she came back with the most beautiful necklace and showed me her signature disc with special ridges. I hardly even knew what to say when she gave it to me, but we both had huge smiles. 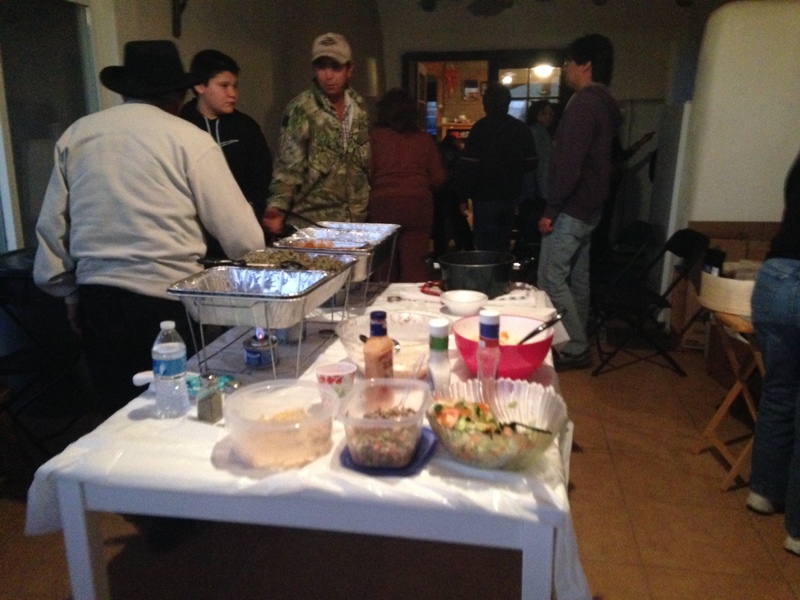 Leaving the market was difficult with the continued interest in talking and trading, but I needed to quickly get south to Isleta Pueblo for a community meal at Joe Jaramillo’s farm. Eventually I was able to finish packing and make a quick stop at the MoGro (Mobile Grocery Store) that was setup nearby for a quick picture and conversation with the staff. MoGro makes rounds to several Pueblos, offering an assortment of fresh, healthy, and staple food items. Although most of their products come through the larger food distribution system, they are making an expanded effort to purchase fresh produce and other items from local Tribal producers this year, which could present a great opportunity to keep more income within the communities. I finally made it to Joe’s farm two or three hours after I was initially planning. 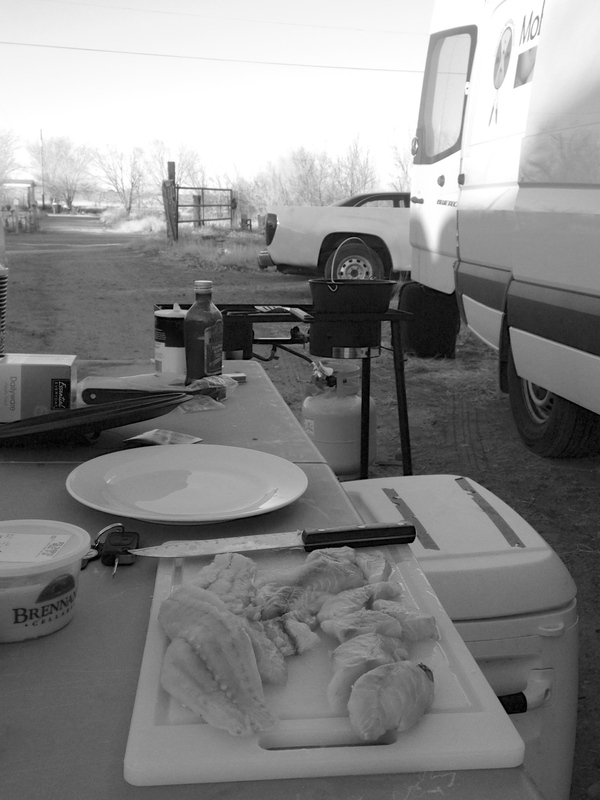 There was no time for a leisurely setup or preparation, as a bunch of hungry Indians were waiting for the fish and other dishes I had promised. Luckily, Joe had cooked some beans, remembered about the leftover KFC and Taco Bell from the day before, and others brought a few dishes as well. Those dishes together with a couple containers of my Native Salad gave a enough time to get the fish and corn soup ready before everyone became too impatient or starved. Speckled trout and redfish from the Grand Bayou Tribal Community in Louisiana was the dinner’s highlight. Everyone, even all the kids, couldn’t stop raving about the fish with its special batter, which they all wanted to buy, since its outer coating had a nice crispy and light texture. It was Zataran’s, a Louisiana fixture. The only batter I had was the ziplock bag Max had given me in Louisiana, but I let them in on a little secret…they could make a local version of virtually the same batter coating with Joe’s own Native Naturals ingredients. Special Louisiana Fish Batter, Pueblo-style: 1 cup blue corn meal, 1 teaspoon chili powder, 1 teaspoon salt; mix the ingredients, place in a large ziplock with your choice of fish (or chicken or anything else you’d like to prepare with a light, crispy coating), shake the closed bag throughly, and then fry, sauté, or bake. 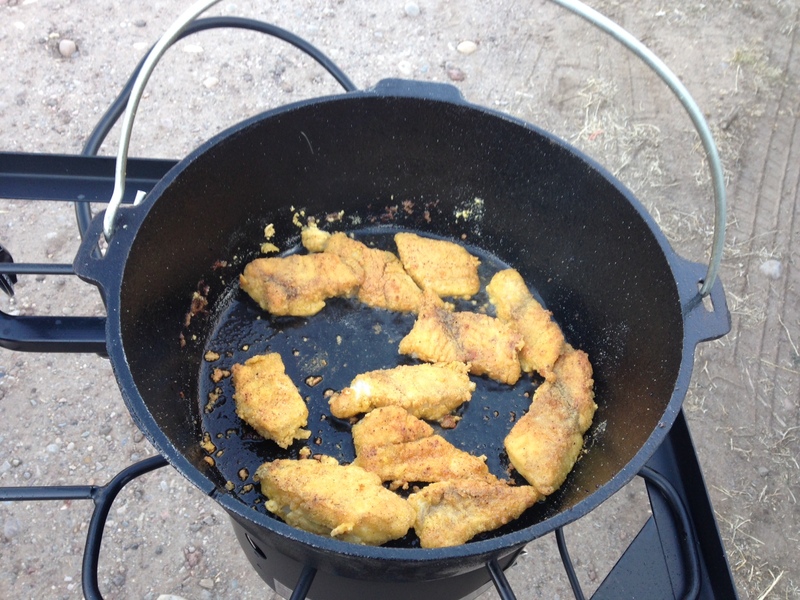 A relatively high cooking temperature is the key to the crispy outer coating. After eating, I gave a short presentation on the Mobile Farmers Market project and roadtrip, as well as information on the Intertribal Agriculture Council’s Technical Assistance Program. Given the event’s success, we’re planning a followup in early to mid-April as part of the growing tour of outreach sessions and meals. I would like to take the opportunity to thank Joe Jaramillo for graciously hosting and entertaining, as well as for joining on as one of the partners with the Mobile Farmers Market. I’d also like to take the opportunity to thank everyone who helped make the first leg of the trip so successful, particularly Marta Suska who was a tremendous help on the first portion of the trip. She endured freezing temperatures on the drive down from Wisconsin and extremely long drives through often flat landscapes that typically lasted well into the night. Her volunteer labor was indispensable smooth-running initial market events, and her navigation made the driving a lot easier and more enjoyable…and her cowgirl boots couldn’t be more stylish. Awesome Dan! Your dedication and enthusiasm is to be commended. Lot’s of time, effort and vision goes into a project like this. You will indeed inspire many and continue to be an example across Indian country of hope and possibilities. i am looking desperately for inlays..